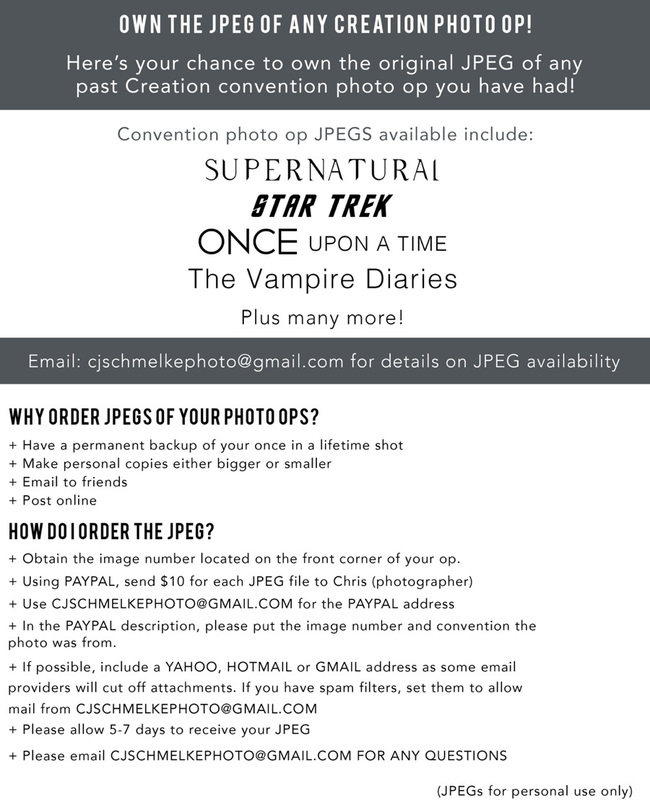 Are you signed up yet for our complimentary Stargate SG-1 E-Mail list? We'll let you know about updates to our Stargate SG-1 conventions, guest appearances, and officially licensed merchandise! LINK HERE AND SIGN UP TODAY! All great things must come to an end and the November 2008 visit to Cherry Hill, New Jersey will mark the conclusion of our Stargate themed conventions coming to The East Coast. We'll be going out with a great line-up of stars, events and attractions but if you've ever wanted to come to a full scale, three day, all STARGATE all the time, Fan Convention on The East Coast: NOW is the time to make your move through the gate to be with us! We appreciate all the amazing fans that have made the past East Coast conventions possible and all the great friends we've made, and we'd love to see you at the Stargate events that will continue in the future in other areas of the country (and Vancouver, Canada too of course), but for now: 2008 Cherry Hill is the East Coast wrap-up! Guests listed below with more to come: join us for the final big party! 8 am to 10 am: Sunday Morning Breakfast and Charity Silent Auction, complimentary for Gold Weekend Patrons, others can purchase separate tickets below. Appearances by Jason Momoa and David Nykl. Dr. Radek Zelenka of STARGATE: ATLANTIS, David will be with us on Sunday of the convention. STARGATE SG-1’s Chief Mst. Sgt. Walter Harriman. Appearing Friday. October 21, 2008: Bill Dow has cancelled his appearance with us due to film work. Anyone who ordered a separate Bill Dow autograph and/or photo op is having their money refunded on their credit card. Gary Jones (Chief Mst. Sgt. Walter Harriman) has been booked to fill the program and he will also be doing the cabaret. With Dan Shea, Gary Jones and Chuck Campbell: a hilarious night of Stargate themed entertainment! Don't miss this performance! Complimentary for Gold and Preferred Weekend Patrons, others can purchase separate tickets at the price of $30 for reserved seating and $20 General Admission. Sunday Morning Breakfast and Charity Silent Auction, complimentary for Gold Weekend Patrons, others can purchase separate tickets priced at $75. Appearances by Jason Momoa and David Nykl: guests will be toured around the room and personally meet everyone in attendance. Cameras are permitted only when the guests first enter the room. 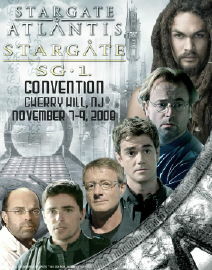 Funds from our auction will be donated to the Stargate producers charity of choice MAKE A WISH. A BRAND NEW STARGATE TV SERIES IS COMING! GET THE LATEST NEWS AT THE CONVENTION! CLICK HERE FOR THE OFFICIAL PRESS RELEASE ANNOUNCING THE SERIES! The most upscale way to attend the entire three days. 1) The very best reserved seatings for daytime convention main auditorium events ALL 3 DAYS. This is where all the guests appear and events take place. 2) ADMISSION to The EXCLUSIVE GOLD DESSERT PARTY on Saturday Evening. Join fellow fans to party with selected guest celebrities. This party will be exclusive for Gold Weekend Patrons, should be an awesome celebration! Featuring appeaerances by DAN SHEA, KAVAN SMITH, and CHUCK CAMPBELL. Cameras allowed when guests first enter the room only, then we give them a chance to casually meet all in attendance. 3) ADMISSION to the CELEBRITY CABARET featuring Stargate stars entertaining our audiences! Set for Friday Evening and including, so far, the hilarious DAN SHEA, GARY JONES and CHUCK CAMPBELL. 4) Complimentary autographs from attending many Stargate celebrities including JASON MOMOA, KAVAN SMITH, DAVID NYKL, GARY JONES, CHUCK CAMPBELL and DAN SHEA. For the purposes of this Gold Package the autograph package value is at least $110 so you know what a great deal the GOLD PACKAGE is! You get ONE autograph per celebrity, and have the option to purchase more if offered for individual sale. 5) First to get autographs when done row by row. 6) Fantastic complimentary STARGATE gift done just for this convention. 7) Wristbands for immediate entrance without waiting on line after initial registration. 8) Pre-Registration for Gold Patrons. 9) Complimentary admission into our famous Sunday Morning Breakfast and Charity Silent Auction. We welcome sensational guests and fans to what many consider to be the highlight of the convention. We're raising money for MAKE-A-WISH with our charity silent auction. GUESTS set so far include DAVID NYKL. 1) Great reserved seatings for the daytime convention main auditorium events ALL 3 DAYS: See all the stars and the events, your seat is yours come and go all weekend! Seats located behind or to the sides of Gold Patrons. 2) Complimentary autographs from attending celebrities including JASON MOMOA, KAVAN SMITH, DAN SHEA, CHUCK CAMPBELL, DAVID NYKL, GARY JONES and more to be announced. For the purpose of this package's overall value this autographing benefit is worth at least $110. You get ONE autograph per celebrity, and have the option to purchase more if offered for individual sale. 4) Among the first to get autographs when done row by row, you go right after the Gold Patrons so your wait is much less! 6) Pre-Registration for PREFERRED PATRONS at a time to be announced (prior to regular registration opening). These packages are the most economical way to attend all three days of the weekend. You get to see it all: the guests and events, from a non-reserved seat in the rear of the theatre. It is one of the greatest financial deals in live entertainment we think: wonderful stars of a favorite series live and in person in an intimate setting. This is the best way to attend any one or two days of the convention, because you get a reserved seat for that day to see all the stars and events. This seat is to the side or rear of our Gold and Preferred Weekend Patrons. Note that this option does not include autographs but autograph tickets are available separately. Here is the most economical (cheapest!) way to attend any one or two days of the convention. You see everything from a non-reserved seat in the rear of the theatre. A great deal for a full day of themed entertainment: there is no other better bargain we think! Children 6 years to 12 years of age will be admitted with adults for the price of $15 available at the door only for general admission. Children under 6 years of age will be complimentary in general admission sections. The absolute best way to get autographs is in person! With reports saying that up to 90% or more of signed collectibles at on-line auction houses are questionable it is vital to know the company you are buying from, but of course seeing your item signed is always the best. The below is done in person, in a non-rushed way and guests will sign anything you bring, or you can purchase something at the convention to be signed. $109 A NIGHT, singles, doubles or twins. Call 856 428 2300 and mention Stargate for this lower than normal rate. DEALERS: IF YOU ARE INTERESTED IN LEARNING MORE ABOUT EXHIBITING AT THIS SHOW, PLEASE LINK HERE. 4:45 pm No Minimum Bid Auction of Stargate and Sci-Fi Collectibles: don’t miss the bargains! 6:50 pm Autographs with Gary and Dan, complimentary for Gold and Preferred Weekend Patrons and called row by row, and followed by those with autograph tickets (available at registration for $20 each) called in number order. A hilarious night of Stargate themed entertainment! Complimentary for Gold and Preferred Weekend Patrons, others can purchase separate tickets at registration for $20 general admission or $30 reserved seating. 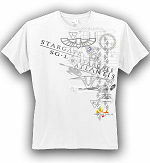 12:05 pm Stargate SG-1 and Atlantis Trivia Competition: Show off your knowledge of all things Gate and go home a winner of great prizes and/or a handy gift certificate! 3:35 pm Stargate and Sci-Fi No Minimum Bid Auction: More great buys here! 5:20 pm AUDIENCE PARTICIPATION PITCH with our host, noted sci-fi critic and comic book writer Doug Murray. Here we’ll get your ideas on the perfect full length Stargate feature film. The very best pitch (under 1 minute) voted by audience applause wins a $100 gift certificate. 5:50 pm Autographs with Chuck Campbell and Kavan Smith, complimentary for Gold and Preferred Weekend Patrons and called row by row, and followed by those with autograph tickets (available at registration for $20 each) which will be called in number order. celebrities enter the room. Our centerpiece contest offers a $250 gift certificate to the best themed centerpiece at the party! complimentary for Gold Weekend Patrons, Sold out. Appearances by Jason Momoa and David Nykl. Please use your cameras only when celebrities enter the room. Silent auction to benefit Make-A-Wish. 1:55 pm Stargate Trivia Competition II: Another chance at super prizes and gift certificates by being an expert in Stargate facts! 2:45 pm Final Stargate and Sci-Fi No Minimum Bid Auction: last chance at some great deals! 5:10 pm Autographs with Jason Momoa and David Nykl, complimentary for Gold and Preferred Weekend Patrons and called row by row, and followed by those with autograph tickets (available at registration for $30 for Jason and $20 for David) which will be called in number order. NOTE: All tickets are non-refundable. ABSOLUTELY NO AUDIO OR VIDEOTAPING ALLOWED AT ANY CONVENTION. Still photography is for personal use only - public dissemination and commercial use strictly prohibited.